YOU NEED TO SEE THIS IN IMAX 3D! This is the ultimate battle between the Transformers & Godzilla… Great action… Graphics are awesome… Storyline was pretty original… Grade A+. 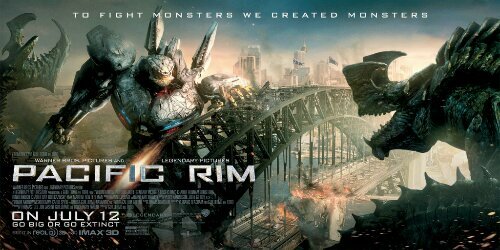 Transformers meets Reel Steel, meets Pitch Black looking for Godzillas… Great rock’em sock’em action… Great CG… Enjoyable! Grade B+.